Life is complicated. My brain is not cut out for the chaos of this life. Over time, I've found a set of tools that integrate very well to try to keep everything managed. If you have an Android phone and a Mac, you might find them helpful too. The hub of my existence is Evernote. On the face of it, it's pretty simple - you can stuff notes, images, handwriting, audio snippets, documents, and such into Evernote; organized into notebooks; and tagged as you see fit. What's the big deal, right? To understand the awesomeness that is Evernote, you have to dive in with both feet and just accept that it will be your world. I don't bookmark - I make Evernote clippings of websites. I forward important or information emails into Evernote. I take meeting minutes in Evernote. I write my daily work logs in Evernote. Anybody who gives me a business card, it gets photographed into Evernote and tossed. When I go on business trips, every receipt is photographed into Evernote and tossed. I brain dump into Evernote. The more you put into it, the more you realize how awesome it is. Everything is searchable. Every note is shareable either on the Evernote web cloud or in another user's Evernote. So imagine a world in which everything that's central to your world is in one place. That's just... amazing. The rest of the trick is how to get it there. ... aaaaaaaand.... Evernote. A receipt from Uber comes into my Gmail? Gets saved in Evernote, properly tagged. I get tagged in somebody's photo on Instagram? Save it in Evernote. I favorite a tweet in Twitter? Copy of it goes to Evernote. You get the point. And I use IFTTT in other ways too. If I post a photo to Instagram, it becomes my Android phone's wallpaper and it gets published to my Flickr account. If I leave the geographic area of my office, it send my wife a text that I'm on the way home. And if you have any home or vehicle automation technologies, the possibilities get even more rich. 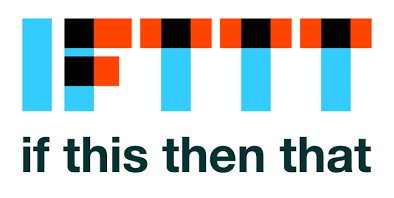 IFTTT also offers a littany of pre-made recipes you can simply adopt. Evernote does have reminders. But given that I use Evernote specifically to dump things into it without a lot of regard to organization, I don't find them terribly useful unless the reminder is specifically about a note. And those reminders can't be reoccurring, and I need to be reminded to take out the garbage every week. Todoist works for me perfectly. It has desktop and mobile apps. It allows for quick and easy reminder entry. I can create collaborative folders for things to do with my housemates, and we can all assign each other chores. I get reminders that are persistent but not stubbornly insistent. It does what a to-do list should. On top of that, IFTTT plugs into Todoist - which makes it easy for other events to create follow-up tasks I have to respond to. Todoist very cleverly soothes the data nerd and game motivated sides of me with its productivity tracking. When I complete tasks, I get points. When I complete tasks on time, I get points. And it very helpfully reminds me of how productive I'm being versus my averages and visualizes it to incentivize me to continue to do better. It's the perfect balance of features and simplicity, of positively incentivizing without being nagging. Apple's Mail program is really quite feature complete, and unless you're wed to the Gmail web interface or your corporate mail has you on Outlook 365, you've probably never considered using anything else. But I do. 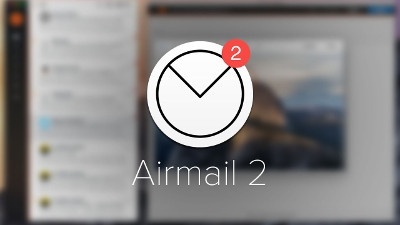 Airmail isn't zero-cost software, but it's really easily worth it. It integrates seemlessly with both Google Apps and Office 365. It has fast, intuitive keyboard shortcuts for quick productivity. Airmail has an elegant interface perfectly suited for today's wider aspect ratio screens, and it's snappy and responsive the way I'd want. Back to our recurring topic of integrations, Airmail features clever integrations with Evernote, Todoist, and Apple Calendar. Any email can be clipped as an Evernote note or set up as an Evernote reminder, both from a simple context menu. Any email can be used to create a Todoist reminder from the same context menu. And if Airmail detects in the body of an incoming email something akin to a date and time, it offers easy links to create calendar events based on those dates and times with the body of the email in the notes of the calendar event. But of course, half the time, I'm on my Nexus 6 or Nexus 7. For those environments, I use CloudMagic. Boasting a similar featureset to Airmail 2, CloudMagic offers a wide range of integrations with different email providers, including Gmail and Office 365. It connects easily to many different services, including Evernote and Todoist - meaning you can use emails coming into your inbox to prompt the creation of new Evernote notes or Todoist reminders with the content of those emails. And I've not even begun to explore any of the other services that it can integrate with. 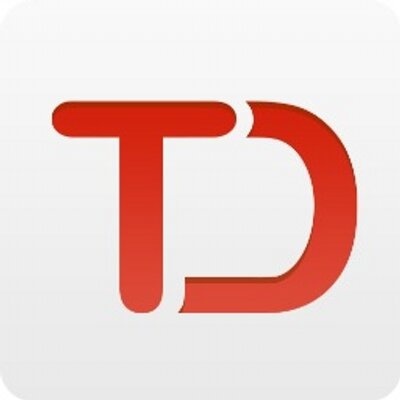 All told, I've found a nice collection of tools that funnel the information from my world one way or another into Evernote and Todoist, as well as eliminating redundant busywork of copying data between spaces on the cloud. HTH and YMMV.